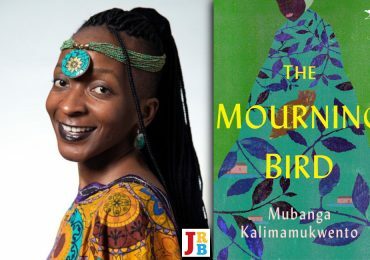 The JRB presents an exclusive excerpt from Nthikeng Mohlele’s new novel, Illumination, and a short interview with the author. Mohlele, who sits on The JRB Editorial Advisory Panel, is the author of five novels: The Scent of Bliss, Small Things (which was translated into Swedish as Joburg Blues) Rusty Bell, Pleasure and Michael K.
Pleasure won two major awards—the University of Johannesburg Main Prize for South African Writing in English and the K Sello Duiker Memorial Literary Award—and was also longlisted for the International Dublin Literary Award. Michael K caused quite a stir this year, being a response to JM Coetzee’s Life & Times of Michael K.
The cover for Illumination will be revealed on 10 December 2018, and the novel will be out in February 2019 from Picador Africa. The beauty of Johannesburg is not immediate. Neither is it only visual. It is an aesthetic that resists being the beauty only of place, of the physical, buildings and bridges and skylines, tree-lined streets and crimson cloud-dotted horizons; it is a beauty that is heard as much as it is felt. Was it important to you that this city spirit was introduced at the beginning of the book? Nthikeng Mohlele: I am not a plot writer at all—and think that narrative does or must go beyond the chronological sequencing of events. What you have with plot, essentially, is a desire for coherence, an orchestration of time in such a manner that there is cumulative scrutiny of characters and social trends—past, present and even future. The context or setting of the narrative are, for me, as important as all the technical elements that constitute a well imagined and executed story. Setting also implies crucial literary textures that are not necessarily subservient to plot, for instance: architecture of place and social standards, mood or atmosphere, which are key to thematic treatment, as well as the historical and heritage considerations inherent in a particular geographical locality in its reality, artistic explorations and reimagination. So: yes—it was important that the spirit of the cityscape or metropolis be touched on early in the novel. 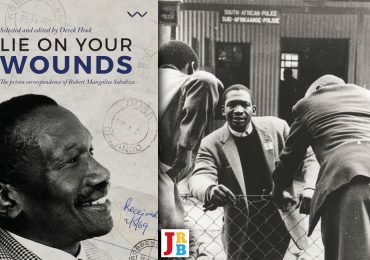 The JRB: Your descriptions of Johannesburg, and the novel in general, also lean on the evocative nature of music; readers familiar with Tupac, Angélique Kidjo, The Manhattan Brothers and Phuzekhemisi will be instantly transported to downtown Jozi. You are a huge lover of music—why did it take you so long to write a book about a musician? 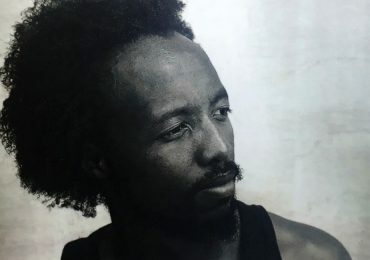 Nthikeng Mohlele: Illumination is, in part, an exploration of the nature and pitfalls of an artistic life. The backbone of the narrative is essentially a love story, but also how the charges and passions inherent in art, particularly music, interface and become transformed when fused with passions and anxieties of a more personal and discreet kind. The book is also, to an extent, engaged with South African history, past and present, without necessarily being a historical novel in the classic sense. There is a duality in that it dabbles in history as an occurrence and recording of events, a social science, as well as denotes a literary genre: the historical novel. In a sense, Illumination also anticipates exhaustion of and contradictions present in history and arts as narrative fuel, as a thematic anchor points. The JRB: At one point your narrator describes music in terms of water, ‘the gushing force of powerful waterfalls, the hesitance and sudden charge of ocean waves, the slight whistle of garden sprinklers on a breezeless morning’. It is notoriously difficult to write about music; did you find this a struggle? Nthikeng Mohlele: True. It is notoriously challenging to write about music—be it in descriptive or emotive terms. I am lucky in that I am passionate about music as both a listener and a rookie armchair critic. By critic, I mean comparative analysis and appreciation of music light years away from a professional occupation, but more for my own personal amusement and artistic cross pollination with literature. I have no doubt in my mind (some certainties are vain and dangerous) that I would be a musician had I not been drenched in the torrents of literature. I did not struggle—I just closed my eyes and imagined my narrator as an musician. I also went to drama school and actually studied performance arts—which involve imagination, believable illusions, transformations and transfigurations. The JRB: The controversial subject of farm murders appears in this book, but you quite deliberately seem to consider the issue from a number of perspectives. Why did you decide to write about this type of crime? Nthikeng Mohlele: Because race relations are a persistent problem in South African society. 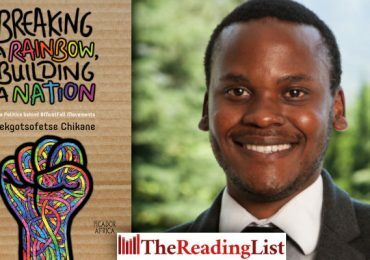 It is also a very emotive and sensitive topic in contemporary South Africa—but writers dare not cherry pick themes and cute stories. Real life is crude and polarising—and honest and self respecting art must explore and reflect the intricacies and contradictions of the narrative context. Nthikeng Mohlele: I wish to answer by way of quotation, words from a prominent and influential Greek statesman, orator and general: ‘Just because you do not take an interest in politics doesn’t mean politics won’t take an interest in you’—Pericles. 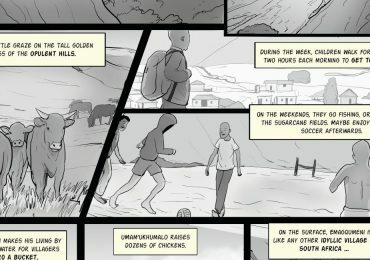 The JRB: The book has a cover shout from Tsitsi Dangarembga, is there a story to how that came about? Nthikeng Mohlele: There is no complicated story: We simply exchanged emails—and she was kind enough to pen a rather generous shout. I studied Mama Tsitsi Dangarembga’s work for my literature majors at Wits, so I suppose the subtext is the ocean flowing back to the river, as it were. The JRB: You have had a remarkable run of productivity over the last few years. What prompted this rush of creative output? Can you share a little about what you’re working on next? The beauty of Johannesburg is not immediate. Neither is it only visual. It is an aesthetic that resists being the beauty only of place, of the physical, buildings and bridges and skylines, tree-lined streets and crimson cloud-dotted horizons; it is a beauty that is heard as much as it is felt. There is a magnetic buzz about the place, an evocation of memories and a charged vigour of present-day living, a yearning for palpable prospects from its many migrants, residents and visitors and those in transit to own and sample, to be forever marked by the city’s abundant offers, its brutal coercions. In Johannesburg, lives are crafted, formed and distorted, happenings there reverberating to the furthest rural provinces, to KwaZulu-Natal or Mpumalanga, where amused or grieving next-of-kins whistle: Yoh, that’s Jozi for you! At once inspiring and scandalous, Johannesburg has a beautiful arrogance about it, a refusal to succumb to comparisons, an insistence on setting standards, breaking life rules. A place of everywhere and nowhere, of everyone and no one, its beauty creeps up on you, stalks you without any footsteps or lurking shadows, drives some to material frothiness, others to carnal madness. It is not a beauty you can own or explain, but layers upon layers of lives and half-lives pulled in thousands of directions and then exploding into the firmament, near-invisible traces of splendour and barbarism. Driving from Rosebank to the CBD, along Jan Smuts Avenue past Zoo Lake, towards Parktown and through Braamfontein, you cross Nelson Mandela Bridge into the hustle and bustle of Johannesburg proper—not quite the epicentre, but a busy-enough zone to qualify as the innards of the city, or at least partial innards. Where Bree Street and its taxi rank are peopled by pedestrians and motorists and cyclists and loafers, where the ear samples world music in all its competition and dimensions: Tupac Shakur crossfading with Angélique Kidjo, a snip of The Manhattan Brothers kissing and saying goodbye from speakers in haberdasheries and hairdressers, and uBaba Phuzekhemisi strumming his strings and serenading the cityscape with maskandi classics from a fast-driven BMW, and Amy Winehouse belting wonderful sorrows from a Toyota Cressida manned by a hungover heavyweight. The music palette is wide and varied, the sudden intermingling of tunes an overwhelming avalanche of sound amid car hooters and roaring engines, police sirens, diesel-spewing buses and almost inaudible hymns sung by mobile vendors touting brooms and ice cream, by the devout en route to churches or the train station. There are also the voices of Koffi Olomide and Oliver Mtukudzi purifying the souls of clientele in Africa-themed hair salons and herb shops, where you can buy anything from owl claws to erectile dysfunction elixirs, salves and herbs to heal bones and aching ears. There is an off-key beauty about this Johannesburg, one far removed from the discipline and order of New York or Dubai shopping malls, five-star and exclusive places dripping with money and snobbery. This Johannesburg, the one of owl claws and Ghanaian hair salons, is at once Gauteng and Accra, as much a province of South Africa as it is of Somalia and Pakistan, the Place of Gold and lights as much as it is Lagos and Harare, as much as it is China or the Democratic Republic of Congo: the faces, the food, the tongues. It is the world of Africans, sprinkled with other nations in between, of suited Africans in pursuit of love and commerce, of new Africans, some of whom have never set foot in a village. It is these Africans—some of Egyptian, Dutch and Portuguese origins—who laugh uproariously whenever they hear or read of some imbecile in Madrid or Mississippi or Toulouse thinking that Africa is one massive jungle from whose trees baboons and chimpanzees and natives swing, who think you can walk from Jozi to Accra and say Hello to Kwaku Akrofi, whom the imbecile would have met on a transit flight between Frankfurt and Manchester back when Idi Amin was still in power. Jennifer Malec is the Editor. Follow her on Twitter.